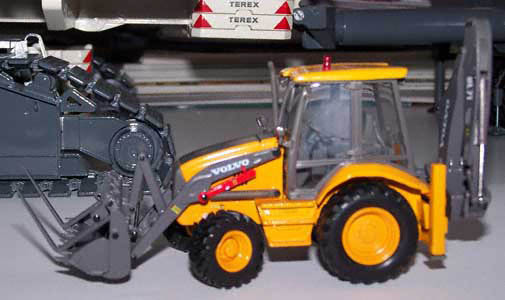 With the release of the BL71, Motorart again proved to be a manufacturer of highly detailed top-quality scale models. 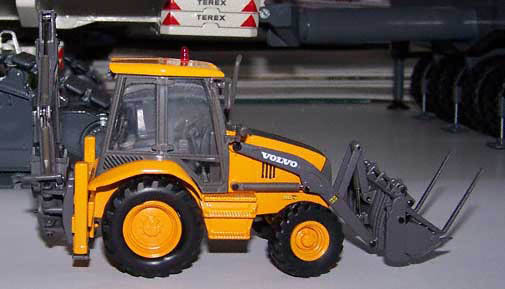 Just as the other Volvo models, this model shows many small details, like the safety strut on the loader boom and many warning decals on various machine parts. 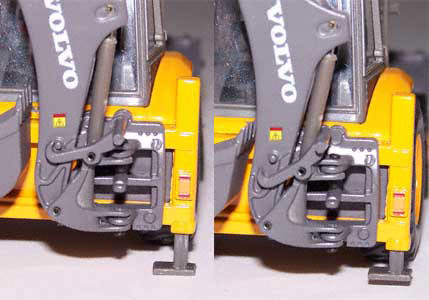 A nice addition are the working flipover forks. 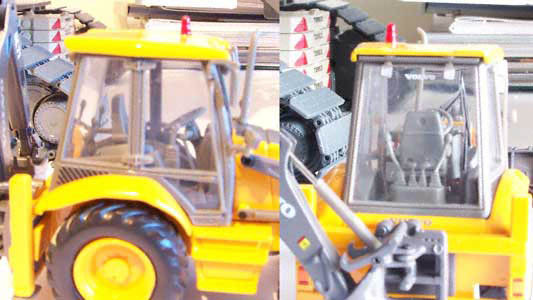 At the back of the machine we find a very detailed backhoe, which even features the boom lock which secures the boom during transport or servicing. 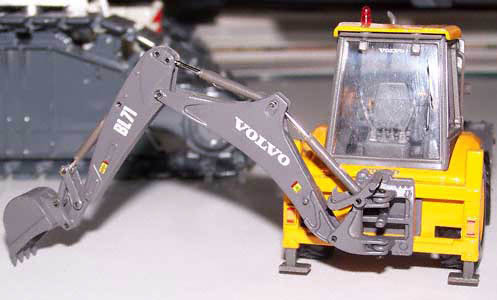 The backhoe is fully functional, but because of the very small hydraulic cylinders it's very fragile. The outriggers are functional, but don't support the machine. As said the model is very detailed. This is the same with the cab. Every joystick or lever is shown. Just like the working lights, handrails, mirrors and even the door hinges. 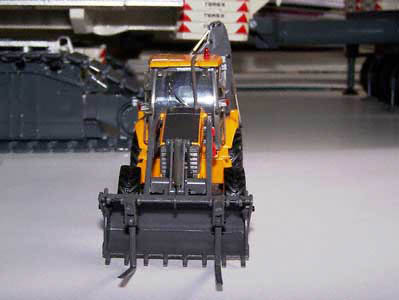 Everything put together this model is a must-have for any earthmoving collection. 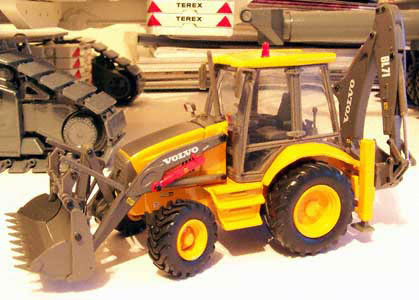 Volvo and Motorart delivered a scale model to be proud of.